The 8th annual Rapid Intervention Crew school is almost here! Every September, the ECFA sponsors a week-long Rapid Intervention Crew school at Cape Fear Community College in Castle Hayne in cooperation with New Hanover County Fire Rescue, City of Wilmington Fire Department and the NC Office of State Fire Marshal. Held at the state of the art fire training facility, this physically demanding school tests the skills of even the most veteran firefighters. Student Prerequisites: NC Firefighter certification and be physically fit as attested by the student’s department. 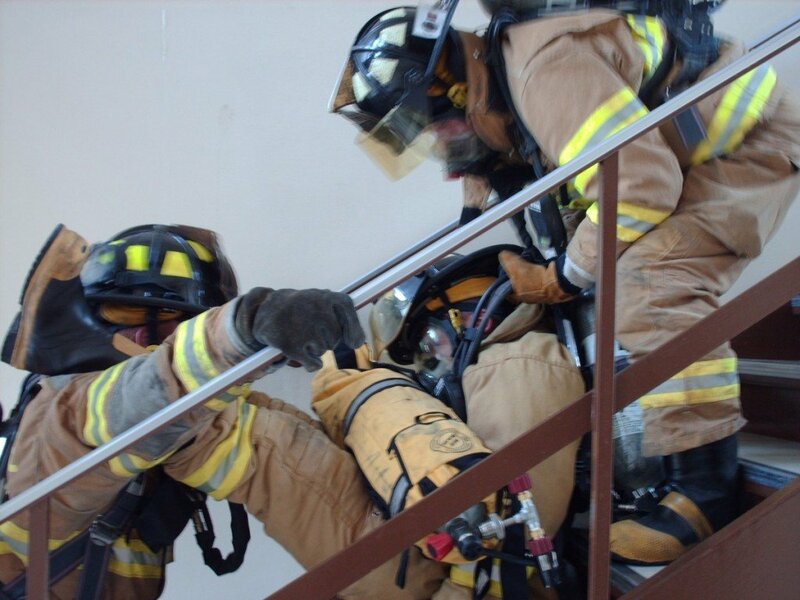 During the school, students are taught May Day (certification), Firefighter Safety and Survival (certification) and Rapid Intervention Crew training. Working as teams, crews learn how to self-rescue as well as save our own from scenarios that vary from simple to complex. The 2018 dates are September 17 – 20, 2018. We are working with both CCFC and the OSFM to improve the class and make it an even better learning experience. To view the 2018 brochure, click here. Click here for the registration form.